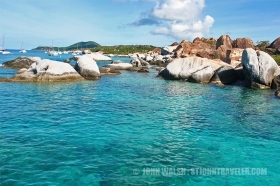 At “The Baths”, the beach shows evidence of the island’s volcanic origins, which deposited granite that eroded into piles of boulders on the beach. 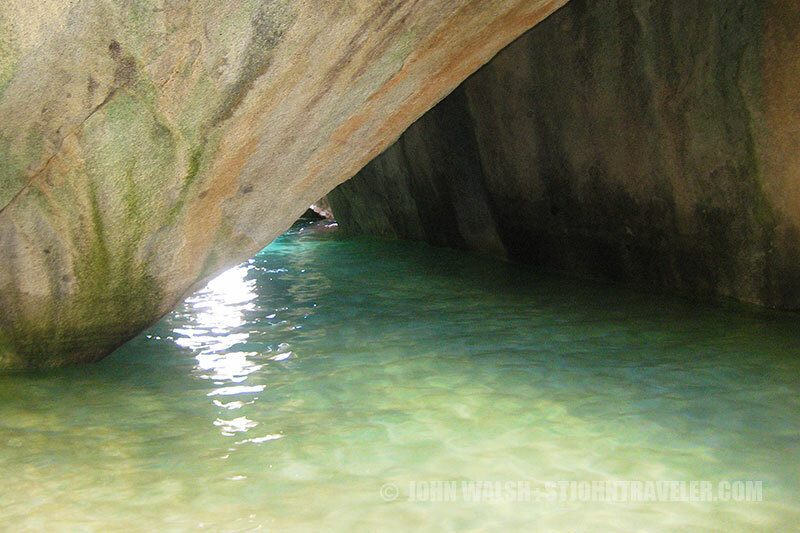 The boulders form natural tidal pools, tunnels, arches and scenic grottoes that are open to the sea. The largest boulders are about 40 feet long. 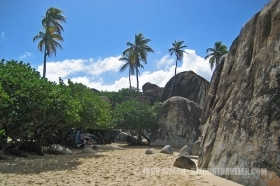 Since 1990 the area has been a “BVI National Park” as are the adjacent bays, and the area is a tourist attraction, with swimming and snorkeling being the main attractions. 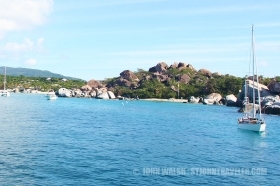 Many charter boats and tours will take you on an exciting snorkeling and exploring trip through these awesome boulders, caves and grottos. You can also visit all by yourself and experience the secrets that The Baths will tell. As you climb through the huge boulders and rocks to find the hidden treasures inside you will enjoy the bridges, catwalks, and ladders that have been created so you can really find all there is to see inside all of these marvelous caves and other hidden pools. 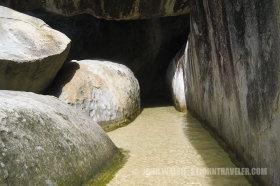 It seems Mother Nature decided to erect a monument of some type by placing large boulders upon boulders and rocks to form magnificent secret hiding places such as caves, pools, and grottos. Some of these huge boulders are as large as your home and it is unbelievable how they all pile upon one another to create such a beautiful area to explore. This is the favorite place for many snorkelers as they can enjoy all that The Baths have to offer in a more secluded area. 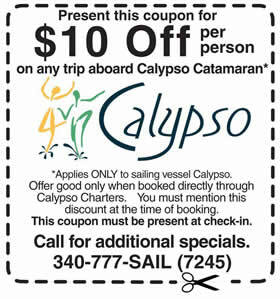 If you visit when the cruise ships and tours are not there, you can enjoy a much calmer and quieter time. Morning is the best time to expect calmer waters and fewer visitors. If the tide is coming in you can expect the water to be more choppy and harder to maneuver around the large boulders. Be sure to wear some good shoes that will help you climb over the rocks and boulders so you can enjoy snorkeling once you arrive at the pools. Some of the beautiful fish you will encounter while snorkeling and wading around in the pools include including Parrot Fish, Wrasse, a Puffer Fish, sea fans and Elkhorn corals. You will also notice some tiny light colored fish known as Palometas. The pools are also the home of the yellow and black striped Sergeant Majors. Other creatures that enjoy clinging to the boulders include nerites and black sea urchins. Fiddler and Sally Lightfoot Crabs love enjoying spending time atop a boulder or basking in the sun on the sandy beach. To find The Baths you will need to go to the southern seashore of Virgin Gorda, above the Baths sitting atop a hill you will find a restaurant, pool, bar and a few gifts shops. 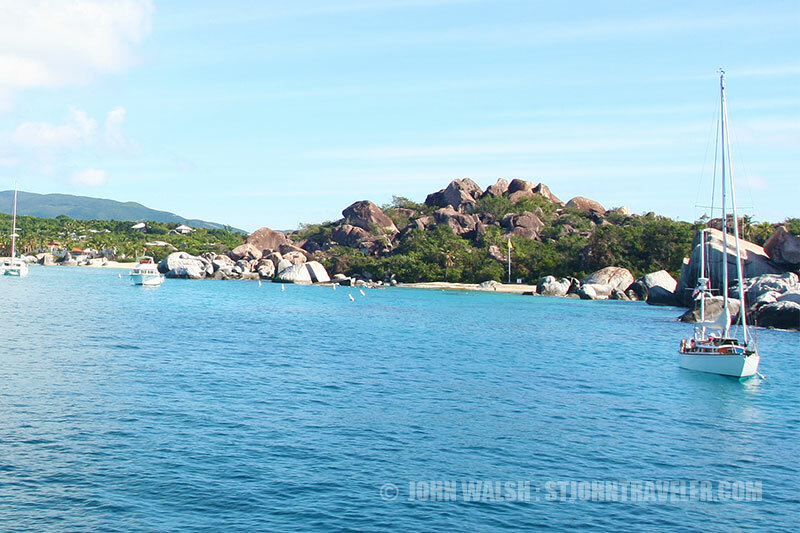 You can also arrive at the top of the Baths by taxi or you can reach the beach beside The Baths by boat. The beautiful white sandy beach is awesome for sunbathing and the crystal turquoise blue waters are wonderful for swimming and snorkeling. 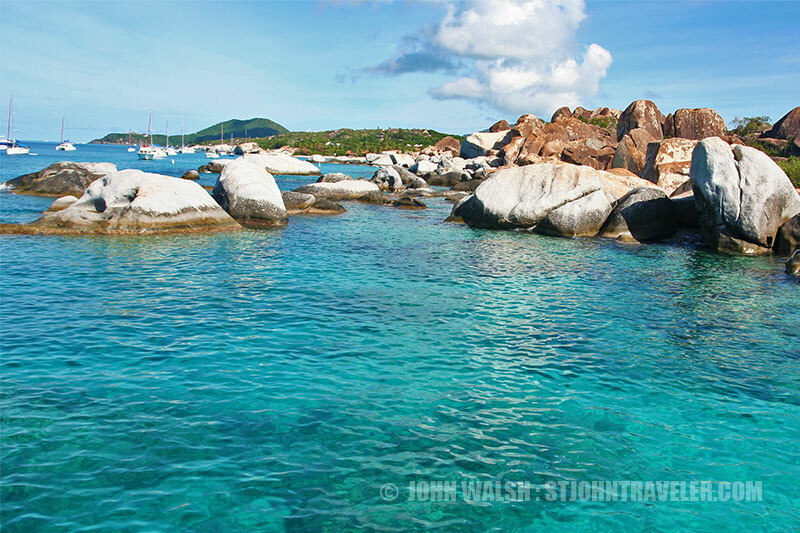 If you are interested in snorkeling outside of The Baths to see the many tropical fish that call this area home it is best to snorkel around the rocks to the south of the dinghy landing beach or by the rocks to the west. Now, that you are here, what is the best way to enjoy all that The Baths has to offer. Well, if you follow this guide you will be sure to not miss a thing. At the entrance you will have to crouch or crawl through the opening. As you start to enter you will notice a shelf boulder. After you are in to your front and right you will see one of the largest boulders that make The Baths such an awesome sight to see. The name of this boulder is the North Cabe. As you walk beside the North Cabe you will enter into The Baths area. Be sure to watch for the markings made on these exquisite rocks by chemical reactions throughout the years. The Throne is the next boulder you will see on your right as you travel down the path. Be sure to take quite a few photos of this natural throne. Maybe this is Mother’s Natures favorite spot. Now, you will need to turn and go back the way you came in but stop at the end of the boulder and go right and around this boulder. You will then see the marvelous Ship’s Keep Boulder and if you walk under this rock and look upward you will notice a spectacular tunnel known as Neptune’s Hideaway. Now, you will once again have to go back the way you came until you reach North Cabe, where the first pool is. Turn right and look toward the heavens. 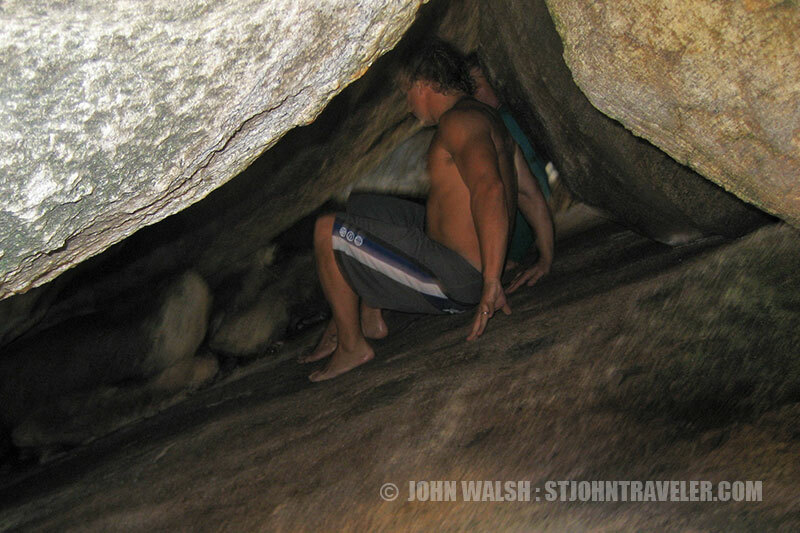 You will enjoy the magnificent boulders above known as The Cathedral. The next area is called Tarzan Land and is a cluster of roots from the pomegranate trees that are just above. The Boulder House is right beside you. This area is always normally drier than the rest even when it rains. Now, you will have to backtrack just a bit and head up. Here you will find a wonderful place for snorkeling the Geodesic Cave. As you journey the rest of the way you will find many pools and caves that you can snorkel in and find all kinds of unique treasures.